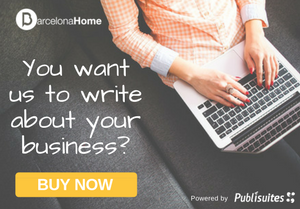 Whether you are coming to Barcelona for a vacation or work you are probably thinking about where to stay in Barcelona or what the best neighborhood to stay is. Answers to those questions depend on what you are looking for. The city is big and the neighborhoods have different things to offer so there is no one size fits for all solution. However, finding the right location is important to be able to enjoy your stay to the fullest. 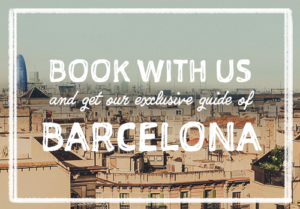 That is why we created a guide to Barcelona neighborhoods to help you with the decision. Below you can find a short description of each neighborhood and behind the links you can find more in-depth information and recommendations on the best places to stay in that specific area you are interested in. Ciutat Vella is the oldest and most typical neighborhood of the city, its name, meaning old city, is due to the number of Gothic buildings found in it. There are charming little streets packed with shops, bars, cafes, and restaurants. Also, several important attractions like Arc de Triomf and Barcelona Cathedral are located in the neighborhood. Here you will find many authentic apartments. Ciutat Vella is in the city center of Barcelona and thus it is easy to reach other parts of the city by public transportation. In addition to several metro, bus, tram and train stations it is easy to walk or ride a bike in the area so getting around is not going to be a problem. The famous Barceloneta beach can be found in Ciutat Vella so if you want to have an easy access to the beach it is a good choice. The area is buzzing with people and life creating a great atmosphere. For people who want to stay in a quiet area, Ciutat Vella is probably not the best choice but if you want to stay in the center of Barcelona close to the sights, services, and nightlife it is a great place to stay! Find out more about the neighborhood and check out our apartments in Ciutat Vella. Districts of Ciutat Vella: Barceloneta, El Born, El Raval, and Gòtic. Eixample (meaning the Extension in English) is located in the upper part of Barcelona city center and it is totally different neighborhood from Ciutat Vella. It is comprised of wide avenues, square blocks, and straight streets that create a perfect city grid. Some of the buildings are influenced by modernism and this is why you can find Antoni Gaudí´s, the famous modernist architect from Barcelona, magnificent designs in the area, including La Sagrada Família and the Casa Milá. The main square of Barcelona, Placa Catalunya, is located in Eixample and it offers an excellent public transportation access to the other parts of the city. Metro lines L3, L4, L5, and the FCG trains run through the neighborhood, about half the city buses pass through Eixample, and all night buses originate from Placa Catalunya. Most tourists only see the Passeig de Gràcia Street that is filled with designer shops, restaurants, bars, and markets. However, the rest of the neighborhood, e.g. the area behind Sagrada Família, is worth exploring because it has a more local feeling. Eixample is a big neighborhood which is why there are different districts in it. Passeig de Grácia is very touristic while Sant Antoni district is popular among millennials with its hip cafés and trendy atmosphere. Eixample is a nice place to live because essential services, like supermarkets and restaurants, are within a walking distance. 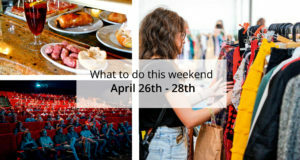 If you love shopping this is the number one choice for your stay in Barcelona! Find out more about the neighborhood and check out our apartments in Eixample. Districts of Eixample: Sant Antoni, Sagrada Família, Fort Pienc, Dreta de l’Eixample, and Esquerra de l’Eixamp. 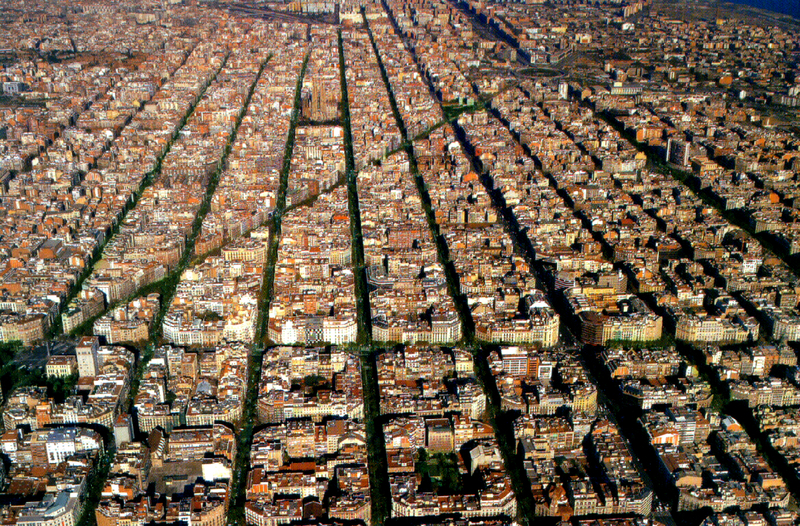 Grácia is the smallest neighborhood in Barcelona by area and thus very densely populated. Characteristic to it are close-packed streets, Mediterranean architecture and big variations in altitude due to many hills or small mountains located there. Grácia is one of the hippest neighborhoods in the city and it is populated by young professionals and artists, but also by older Catalan people. The area has its own charm and culture due to its history as being an independent village before becoming a part of Barcelona. Apart from Park Güell, there are not a lot of tourists in the neighborhood so it is a good place to live if you are looking for a more local experience. 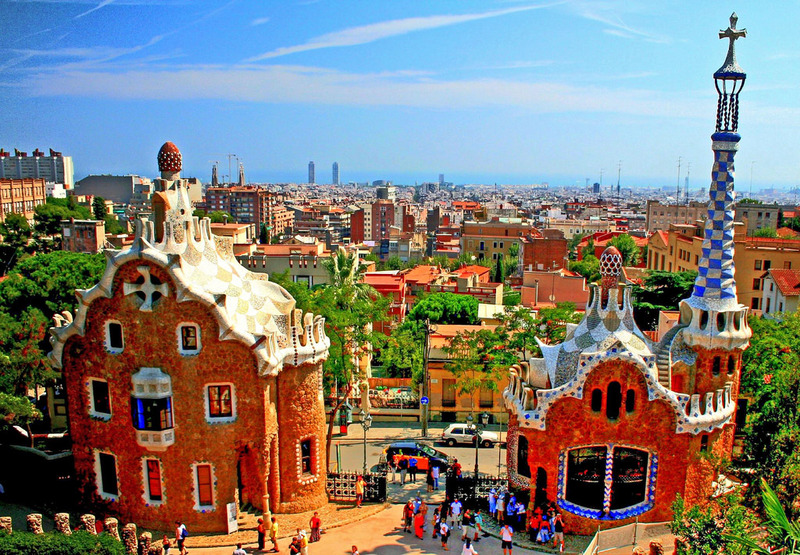 Although Park Güell is a major attraction the park itself is relatively big and full of curvy trails so it is quite a popular place to go running because there you can escape the traffic and enjoy the nature and fantastic views of the city. When it comes to eating there are many local restaurants and bars in the area so it is easy to get a taste of authentic Spanish food. Grácia doesn’t have a lot of global brand stores but instead, there are many charming boutiques selling vintage clothing among other things. It is nice just to walk in the small streets of the neighborhood and explore the small shops you come across. Grácia is easy to reach by public transportation because metro lines L3 and L4 run through it. In addition to metro, several buses, also during the night, operate in the area. The neighborhood is not in the heart of the city but by metro you can get to Placa Catalunya, the central square of Barcelona, in 10 to 20 minutes. If you want to live in a bit more quiet place but still close to the city center Grácia is a great choice. Find out more about the neighborhood and check out our apartments in Grácia. Districts of Gràcia: Vila de Gràcia, Vallcarca i els Penitents, El Coll, La Salut, and Camp d’en Grassot i Gràcia Nova. Horta-Guinardó Neighborhood is located in the outskirts of Barcelona and characterized by mountains, hills, and valleys. 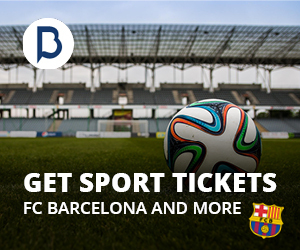 It is the third largest neighborhood in Barcelona and its districts vary from one another. 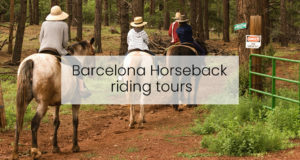 There are a few farmhouses and fortresses from the Middle Ages, as well as aristocratic estates dating back to the 19th century when the base of the Collserola mountains was a popular place for wealthy country homes. In contrast, the neighboring Vall d’Hebron consists of newer buildings because it was built specifically as one of four main Olympic venues in 1992. There you can find the center for the cycling, tennis, and archery competitions. Horta-Guinardó has a couple interesting sights that are Parc del Laberint D’Horta (a park with a labyrinth) and Mirador del Turó de la Rovira which is a natural lookout point with a great view of the city. Mostly the people living in the area are locals and there is a great number of apartment buildings. The neighborhood is not packed with nightclubs or shopping opportunities because it is mainly a residential area but there are nice restaurants with both local and international cuisine. Also, there are many food markets and small supermarkets where you can do your basic grocery shopping. Although in the outskirts of Barcelona, Horta-Guinardó is reachable with the public transportation but naturally, it takes longer due to its location (mostly from 20 to 30 minutes from Placa Catalunya). Metro lines L3, L4, and L5 circulate in the area as well as city buses. If you like to spend your time on the beach or enjoy going to the city center a lot, this might not be the best choice. Horta-Guinardó is a quiet area with a lot of green spaces so it is great for the ones that are looking for peace and fresh air. Find out more about the neighborhood and check out our apartments in Horta-Guinardó. Districts of Horta-Guinardó: Baix Guinardó, Can Baró, El Carmel, Font d’en Fargues, Font del Gos, Guinardó, Horta, La Clota, Montbau, Sant Genís dels Agudells, Taxonera, and Vall d’Hebrón. Les Corts Neighborhood is located in the western part of Barcelona between Sants-Montjuïc and Sarriá-Sant Gervasi neighborhoods. It is mostly a business and residential area with the smallest number of residents of the Barcelona neighborhoods. The infrastructure in Les Corts is a mixture of newer buildings, like international corporations, universities, and hotels, and old 19th-century buildings. A spectacular Diagonal Avenue runs through it and when walking on that street you can find the university campus, Hilton Hotel, and L’illa Diagonal Shopping Mall. Apart from a few touristic sights, the neighborhood has a small town atmosphere with beautiful squares and lots of green areas. Les Cots offers great shopping opportunities because, in addition to L’illa Diagonal, it hosts El Corte Inglés shopping mall. The neighborhood is not bursting with restaurants and nightclubs but instead of touristic places it has more local restaurants as well as some international ones, and a few interesting nightclubs. 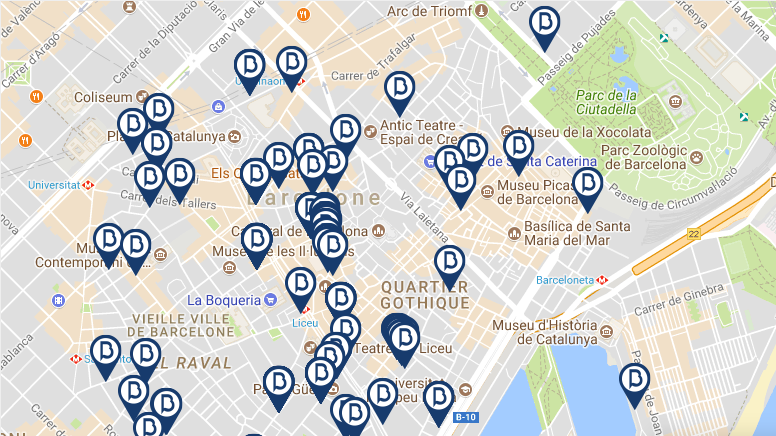 The area can be reached by metro L3 and buses and the trip takes from 20 to 40 minutes from Placa Catalunya depending on to which area you are going to. Les Corts is one of the safest parts of the city so it is great for families who like to be relatively close to the city center but at the same time enjoy a peaceful area with lots of parks. 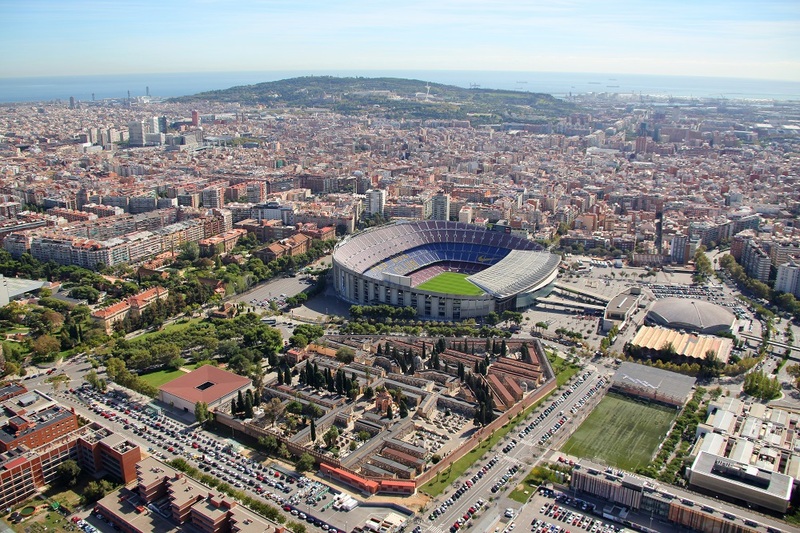 It is also a must stay place for football fans because Camp Nou, the home stadium of FC Barcelona, is located in the neighborhood. Find out more about the neighborhood and check out our apartments in Les Corts. Districts of Les Corts: Les Corts, La Maternidad i San Ramón, and Pedralbes. Nou Barris Neighborhood is situated in the northern part of Barcelona and it is a residential area, home to over 165 000 people, mostly working class and from various cultural backgrounds. There is the second biggest park of Barcelona in the neighborhood called Parc Central de Nou Barris and also hills that have a lot of trails, which offer good opportunities for outdoor activities. On top of Torre Baró Hill, there is a great lookout and also Castell de Torre Baró, a castle that was originally built as a hotel in the 1900s but it wasn’t finished until 1989 when it was restored and declared as a historical heritage. 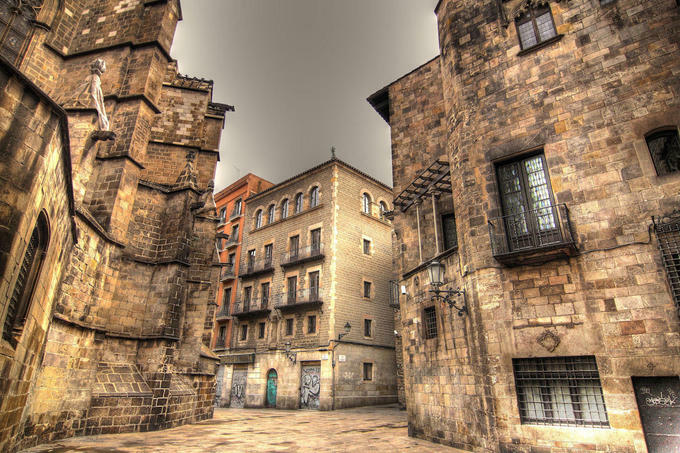 In addition to the castle, Nou Barris has other beautiful historic buildings in the midst of residential houses. The neighborhood is quiet and has few tourists, however, the shopping opportunities are fairly good due to busy shopping streets called Passeig Valldaura and Via Júlia. If you are into partying then Nou Barris isn’t the best choice because there are not really nightclubs but mainly local bars, cervecerias. Although lacking the wildest nightlife the neighborhood has plenty of restaurants, especially local places, to choose from. 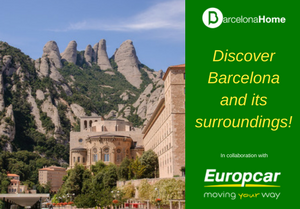 Nou Barris is in the outskirts of Barcelona so it takes from 30 to 40 minutes to get there from Catalunya by public transportation. However, if you get a place from Torre Baró or near Sant Andreu Arenal station the trip takes only 15 minutes by trains R3 and R4. In addition to the train, metro L3, L4, L5, and L11 operate in the area as well as buses that also circulate during the night. 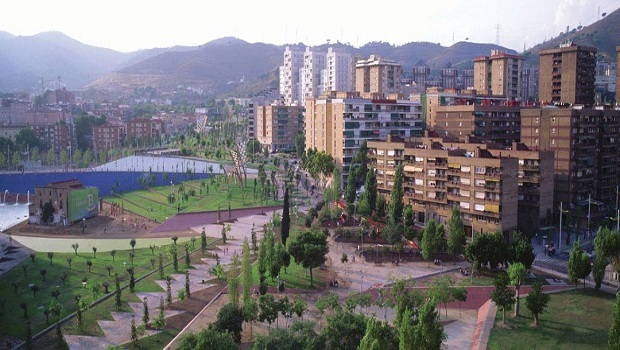 Torre Baró is a good neighborhood for people who like to spend time outdoors, especially in the hills. It’s also family friendly area due to its green areas and tranquility. 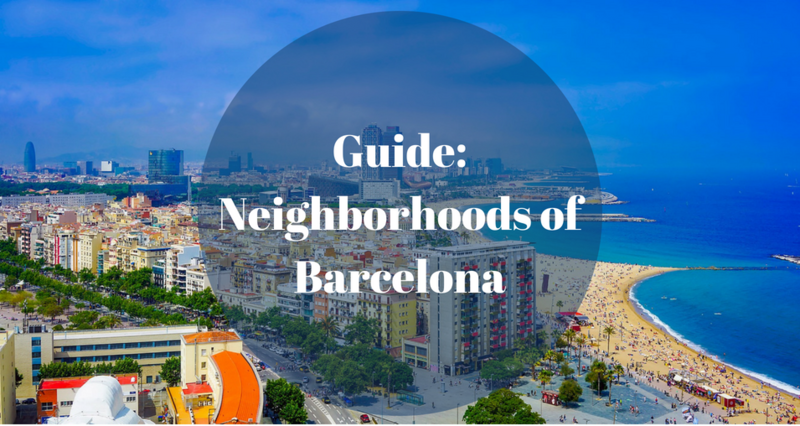 Find out more about Nou Barris Neighborhood. Districts of Nou Barris: Can Peguera, Canyelles, Ciutat Meridiana, Guineueta, Porta, Prosperitat, Roquetes, Torre Baró, Trinitat Nova, Turó de la Peira, Valbona, Verdum, and Vilapicina i la Torre Llobeta. 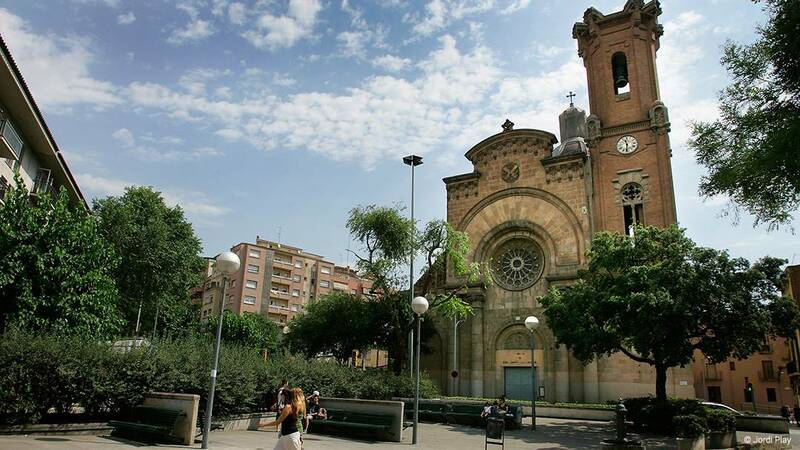 Sant Andreu Neighborhood is located in the North-East of Barcelona between Nou Barris and Sant Martí neighborhoods. It is a peaceful, mainly residential, area with a small-town feeling and it resembles a traditional Catalan village with only a few tourists. There are charming streets, urban parks, Roman remains, and old farmhouses that tell about the rural past. Sant Andreu has developed from a rural area to industrial area and finally, it became an urban center. The neighborhood also has a great architectural heritage that includes, for example, Bac de Roda Bridge and Casa Bloc, a z-shaped building that was meant to be a social housing for workers in the 1930s. Sant Andreu has fewer restaurants to offer than the city center but there are some with high quality and reasonable prices. You can’t find nightclubs in this neighborhood but it hosts the biggest shopping mall in the city, La Maquinista, which will satisfy all your needs for shopping. If you are looking for sights Sant Andreu del Palomar Church is a nice place to visit. It was originally built already in 966 but destroyed in wars and built over and over again. In the turn of the 20th century, the church got its current neo-gothic style in a renovation. The neighborhood is well connected to the city center because trains R2N, R3, and R4 run through the area in addition to metro lines L1, L9N, L10, and city buses. The area can be reached from Catalunya in less than 30 minutes by the public transportation. Especially from the parts closer to the city center, like districts Navas and La Sagrera, it is fast and easy to get to the center. Sant Andreu is a good neighborhood for people who want to live a bit farther away from the most crowded areas but who still want to have an easy access to the city center. 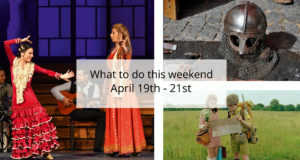 It is great, particularly for families. Find out more about the neighborhood and check out our apartments in Sant Andreu. Districts of Sant Andreu: Sant Andreu de Palomar, La Sagrera, Trinitat Vella, Baró de Viver, Navas, El Congrés i els Indians, and Bon Pastor. 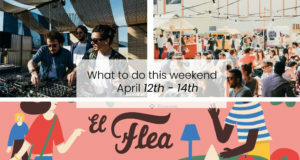 Sant Martí is a lively neighborhood in the eastern part of the city bordered by the Mediterranean on one side and four other neighborhoods, including Ciutat Vella and Sant Andreu, on the other sides. It is the second most populated area in Barcelona and 4th in size. Sant Martí has undergone a big change during the last decades when it transformed from an industrial area to the technology district bringing it to the 21st century. The industrial past can still be seen in some of the buildings in the neighborhood, which are located in the midst of contemporary architecture, including blocks of flats and office towers. Avinguda Diagonal Street that begins from the other side of the city in Les Corts Neighborhood runs through Sant Martí ending to the sea. It is a big avenue that has parks, shops, museums and restaurants on its sides. There are also plenty of sports areas and great streets for running in the area. Vila Olympica that was built for the 1992 Olympic Games, to house the athletes, is located in Sant Martí as well as Port Olímpic, the marina of the city, where you can find a casino and many restaurants in addition to boats. 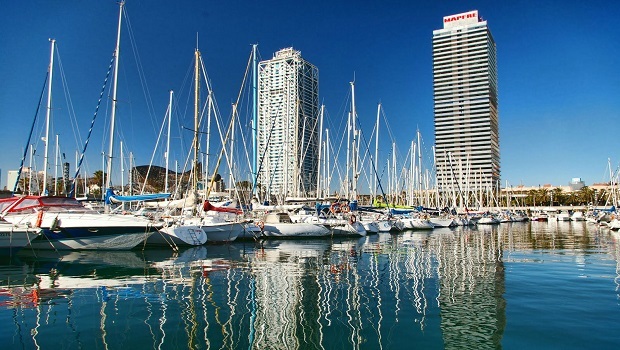 Because the neighborhood has a lot of coastline it is the place where the most of the beaches of Barcelona are located. Next to the beaches runs a seafront promenade that is a nice place for a walk with its palm trees and parks on the side. Sant Martí is a good place for shopping due to 2 big shopping malls and multiple little shops scattered around the neighborhood. 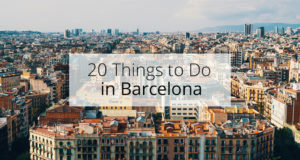 The area has a lot of small restaurants, serving especially Mediterranean food, and the biggest nightclub in Barcelona, Razzmatazz, can be found there along with other bars and clubs. Sant Martí is within a short trip from the city center because of an excellent public transportation network. Metro lines L2 and L4, trams, and buses operate in the area and from Catalunya it takes from 20 to 30 minutes to reach the most areas in the neighborhood. Sant Martí is your choice if you love to spend a lot of time on the beach and like to have an easy access to the city center. Find out more about the neighborhood and check out our apartments Sant Martí. Districts of Sant Martí: El Clot, Camp de l’Arpa, La Verneda, Can Ricart, Provençals, Poblenou, Barri del Besòs, Diagonal Mar, and Vila Olímpica. Sants-Montjuïc Neighborhood is located in the southern part of Barcelona and bordered by Les Corts, Eixample, and Ciutat Vella. 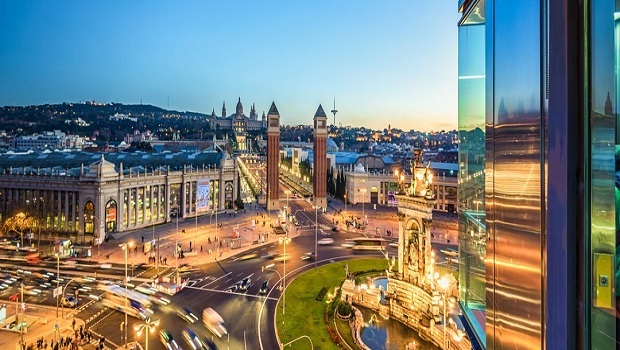 It is the biggest neighborhood of the city and it is mostly a residential area but also there are many important attractions, like museums and the Magic Fountain of Montjuïc. It is comprised of 10 districts that are quite different from one another both by the population and landscape. For example, Sants is a historic village that transformed from a rural area to industrial area when factories arrived there during the first half of the 20th century. Montjuïc is the name of both a district in the neighborhood and a hill that is situated in that district. The hill was one of the main locations of the 1992 Olympic Games and thus there lie the Olympic Stadium, Olympic Museum and many sporting facilities, like tennis courts. 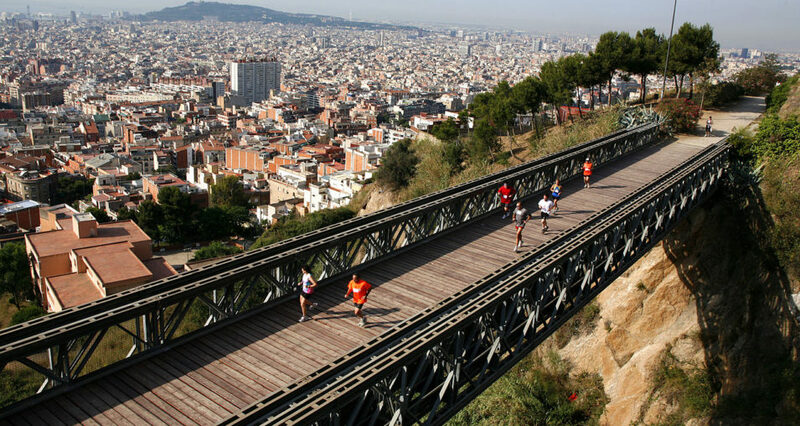 Montjuïc Hill has a lot of trails so it is a good place for running or mountain biking. The hill is a really green area with many parks and gardens so it is also nice for relaxing in the nature. At the base of Montjuïc, you can find Placa Espanya, an impressive square with its towers and massive historic buildings. Sants-Montjuïc has many good restaurants from fancy places to local restaurants and Mexican cuisine so finding a place to eat won’t be difficult. In Mercat de Sants you can find fresh food and ingredients, like fruit, fish and Spanish ham (jamón). The neighborhood also has many supermarkets and small local boutiques for grocery shopping. In addition to food, Sants-Montjuïc has small shops selling clothes and other items but if you really feel like shopping you can find more stores in other areas of the city. However, in Placa Espanya there is Arenas de Barcelona shopping mall which is technically located in Eixample neighborhood. When it comes to nightlife there are bars but the nightclubs are situated in the other parts of Barcelona. Sants-Montjuïc is close to the city center and most areas of the neighborhood can be reached within 20 minutes from Placa Catalunya. Metro lines L1, L3, and L5 operate there and also Barcelona Sants and Placa Espanya train stations are situated in the neighborhood. Thus if you want to live within a close distance to the city center and at the same time you like doing sports, Sants-Montjuïc suits you well. Find out more about the neighborhood and check out our apartments in Sants-Montjuïc. Districts of Sants-Montjuïc: La Bordeta, La Font de la Guatlla, Hostafrancs, La Marina de Port, La Marina del Prat Vermell, El Poble-sec, Sants, Sants-Badal, Montjuïc, and Zona Franca – Port. Sarrià-Sant Gervasi Neighborhood is in the northwest of Barcelona between Les Corts and Gràcia and a big part of it is in the mountains bordering the city. The area was the last independent village that was added to Barcelona and that’s why it still has a village-like feeling. Sarrià-Sant Gervasi is one of the safest areas in Barcelona. It is an upper-class neighborhood with many large beautiful houses, quiet well-maintained streets and relaxed squares. At the same time there are many fashionable spots which young and stylish people like to visit. The neighborhood has plenty of good restaurants especially places serving Mediterranean cuisine. One special thing about this area is that is has an amazing nightlife with a great diversity of clubs and bars. There are a few interesting sights in Sarrià-Sant Gervasi, one of them is the Sagrat Cor Church on top of the Tibidabo mountain, which can be seen from most areas of Barcelona. 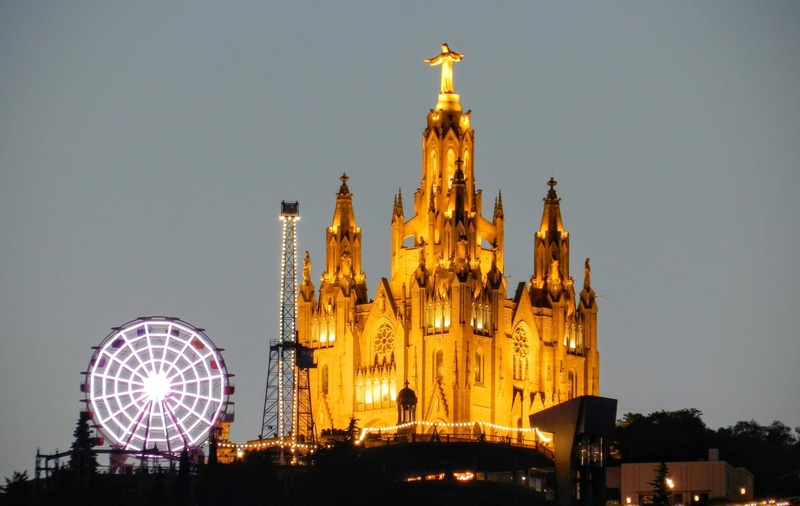 Another attraction is Tibidabo amusement park which was opened to the public already in 1905 making it the oldest amusement park in Spain. The neighborhood has a lot of small shops but no shopping malls so if you like charming boutiques, it is recommended to pay a visit. When it comes to buying groceries you can find Mercat de Sarrià in the area selling fresh products, in addition to a couple of Mercadona supermarkets, smaller food stores, and traditional bakeries. 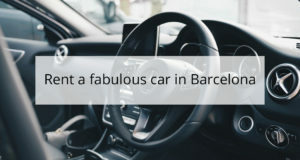 Sarrià-Sant Gervasi is located in the outskirts of Barcelona but many areas in the neighborhood can be reached in 15 to 25 minutes from Placa Catalunya due to a fast metro and train network. Metro lines L6, L7, and L12 operate in the area, in addition to multiple local trains and buses, of course. 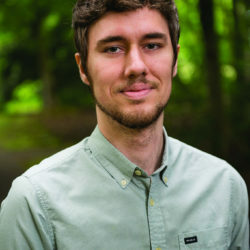 If you decide to get an apartment in the mountains, the trip takes a bit longer, however, there is a train connection to some parts of the mountains. Sarrià-Sant Gervasi is located quite far from the sea so it is not the best choice for beach lovers. Instead, it is suited for people looking for a peaceful neighborhood with a nice atmosphere and good opportunities for nightlife. Find out more about the neighborhood and check out our apartments in Sarrià-Sant Gervasi. Districts of Sarrià-Sant Gervasi: El Putget i Farró, Sarrià, Sant Gervasi – la Bonanova, Sant Gervasi – Galvany, les Tres Torres, and Vallvidrera, Tibidabo i les Planes. 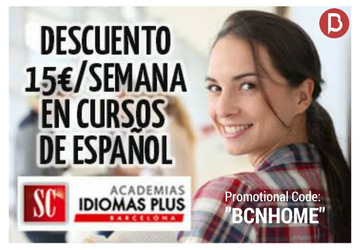 Are you looking for great accommodation in Barcelona? 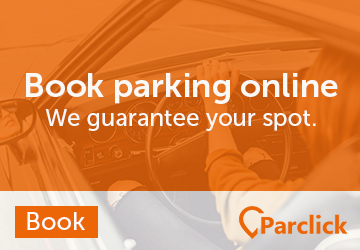 Look no further, we have what’s right for you!